Oreos. On a stick. Covered in chocolate. Need I say more? 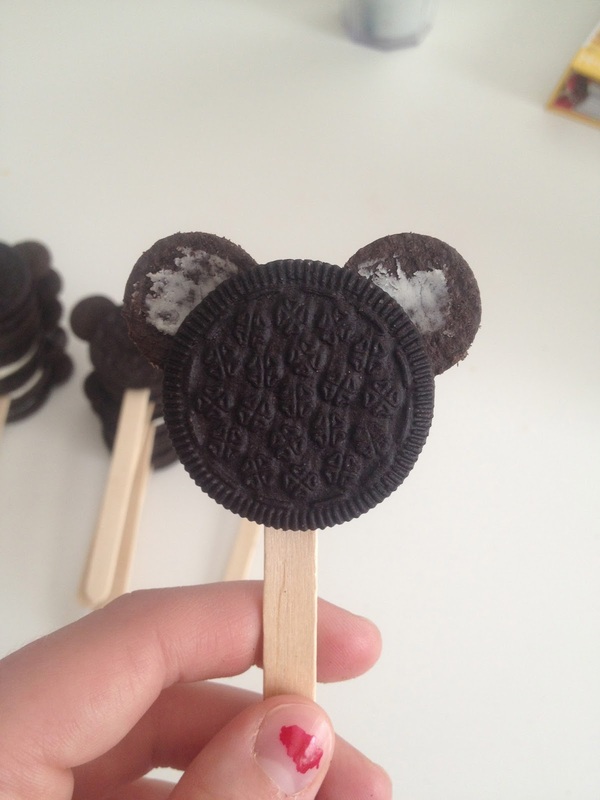 I'll tell you how to make them so you can enjoy the delicious and adorable treat as well. If these were sold AT Disney World, they'd probably be like, $5 each..ridiculous. Darn those Disney prices. 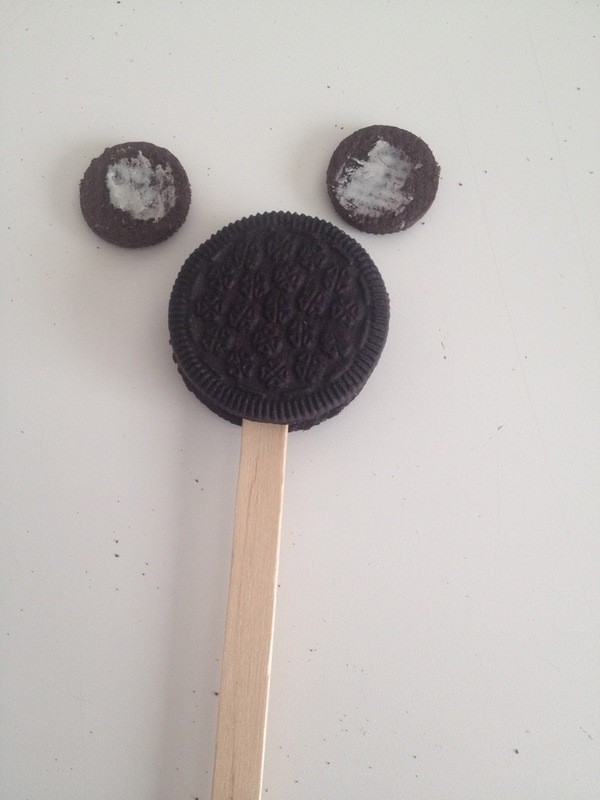 Hold either side of the Oreo and shove the popsicle stick (gently)..gently shove..into the Oreo. 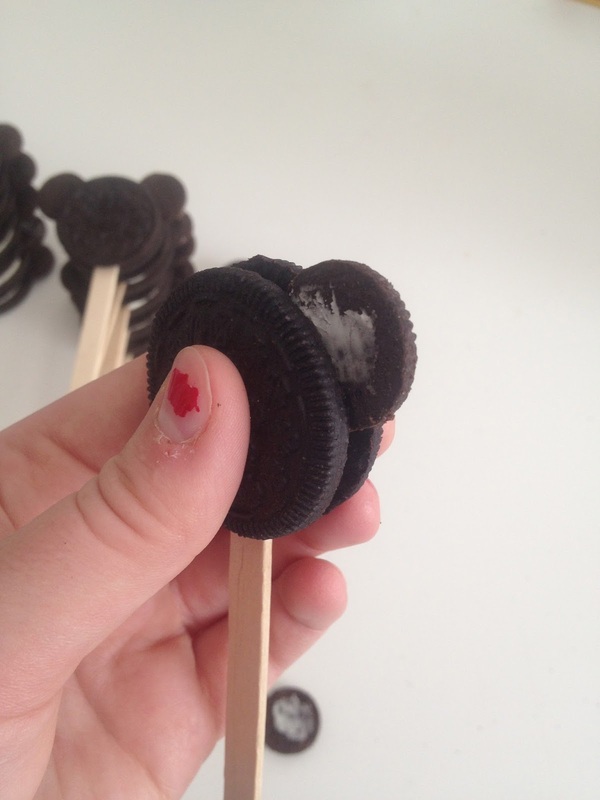 Scrape the cream off of the mini Oreo (then eat it). 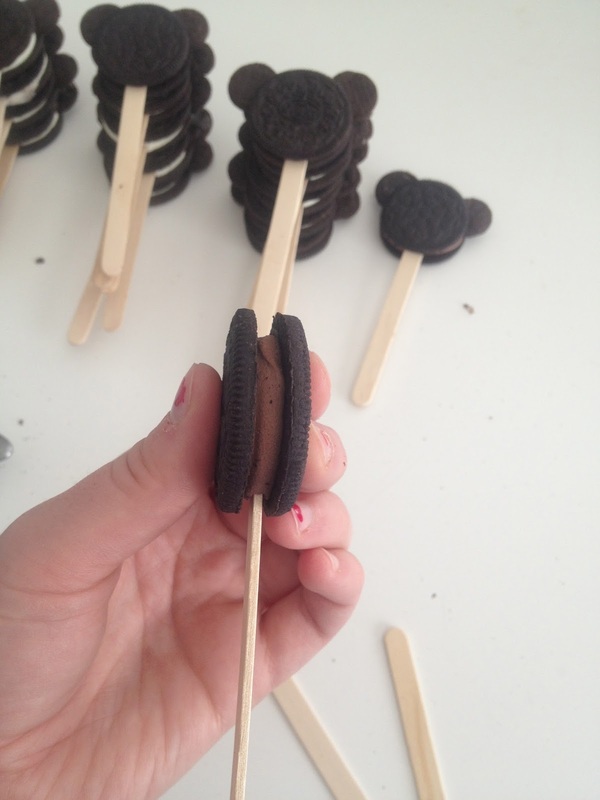 Hold the sides of the big Oreo together and gently push each mini Oreo into the sides of the big Oreo. Melt your almond bark over a double boiler. (You can use the microwave, BUT it is a lot easier to burn it. Using the stove keeps the chocolate at a consistant temperature so you can work with it longer). 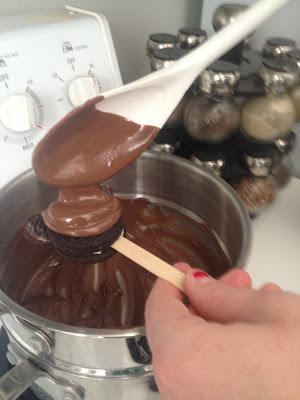 Instead of dipping the Oreo in, spoon the chocolate over ONE side of the Oreo and smooth it out using circular motions with the spoon (that way it will just be prettier when it dries). 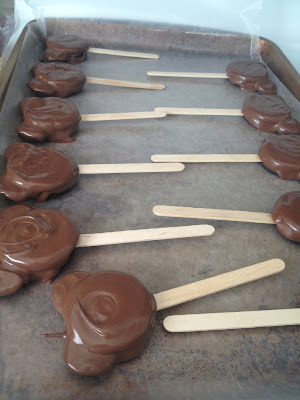 Lay them out (remember only ONE side is dipped) on a piece of wax paper on a cookie sheet and pop them in the freezer or fridge for about 20 minutes, or until the chocolate is hard. Spoon more chocolate onto the BACK side of the Oreo and stick back in the fridge. 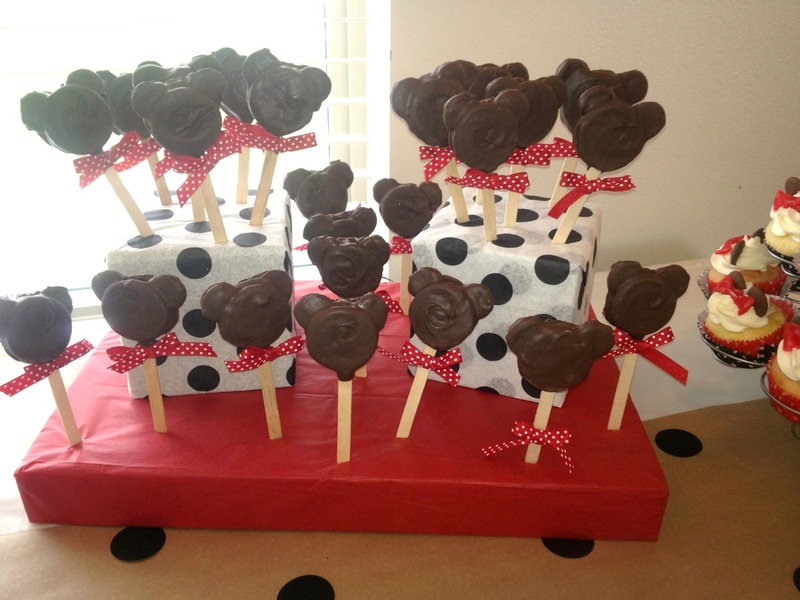 Once the chocolate is hardened, tie on ribbons to the sticks to further "Mouse-ify". To display, I stuck them in wrapped styrofoam boxes. You can store them in the fridge or at room temperature. See other Minnie Mouse party related posts below! Where did you get those sundae Minnie Mouse tags? Did you Make them.